If dirt jumping is your thing, then so are our DJ series of hubs. After years of the highest profile testing from our world famous dirt jump team, our current range of DJ hubs are our best yet. Huge strength to weight ratios sets our DJ series apart from the crowd. Built from the ground up for dirt jump use, the DJ Wideboy Front hub has no disc brake mount, allowing for the flanges to be spaced as wide as possible for maximum spoke triangulation. 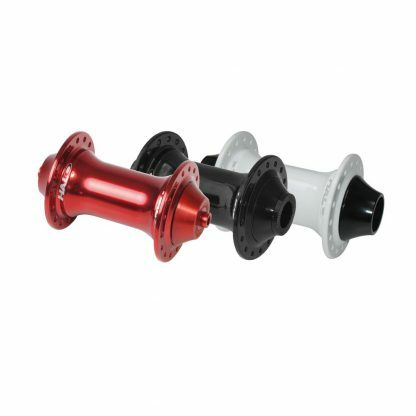 DJ Wideboy Front hubs build into the toughest front wheels with maximum lateral strength.